It's like having email for your favorite corner of the internet. 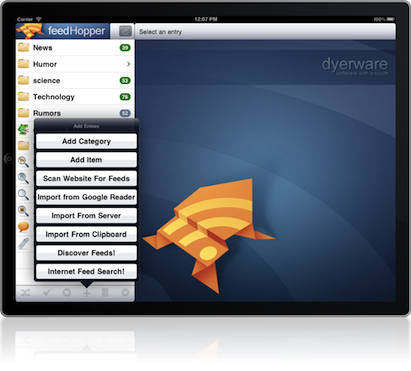 Set up your favorite web pages, RSS feeds, and Twitter users in one spot. 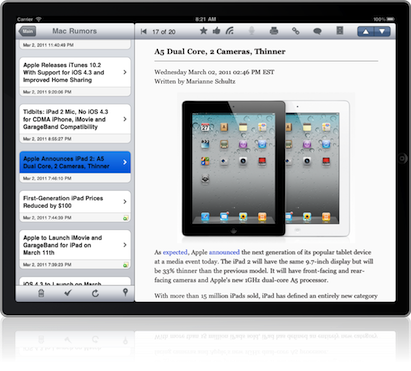 Your iPad becomes a database of all your favorite articles. 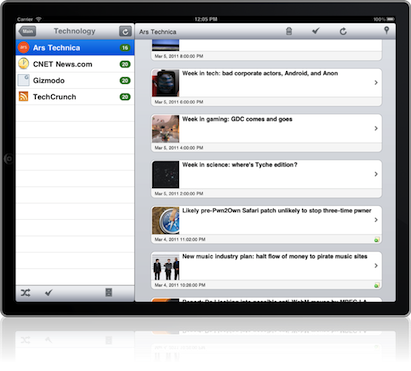 You can even view all unread articles across all of your RSS feeds. Convert any RSS feed to render a clean, clutter-free version of the article so you can focus on reading your web. 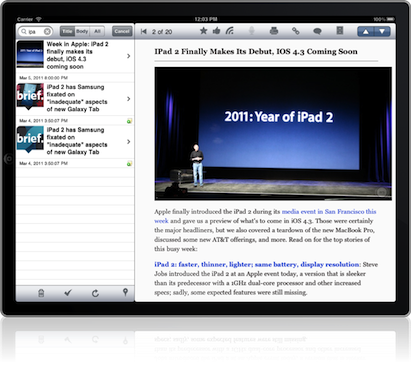 You can even select the paper type..
To make life easier, you can use folders to organize your feeds. If you import feeds from Google Reader, the categories are imported as well.